In Path of Exile, beastiary league was full of good idea in the intention, but absolutly awfull in realisation. I collect some bad and fun points in this league. Meanwhile, there are some poe items for trade on our website. Let’s enter it. 1. To capture beast, you have to use a net on a living beast. This net is used like a skill. So this force you to stop your dps. We had to way few weeks before GGG introduced Necromantic net that alow players to capture dead beast. For this period of time, the league mecanics was absolutly unplayable for every build who OS, or off-screen, or can’t control their dps in general. 2. The Menagery concept was cool, but had huge problem too. Your menagery have a limite in terme of beast you can capture. If your menagery is full, all beast you capture were lost. We had to wait few week for GGG to introduce an alerte message in order to warn the player his menagery is nearly full with some type of beast. 3. In order to make some space in your menagery, you had to use beast in recipe. But the recipe preselected for you the beast used for the recipe. So, in order to not use extremly rare beast and usefull beast in a shity recipe, the player have to check himself each beast used. 4. There is also a replacement of beast system. If you capture a beast and your menagery is full with this type of beast, the game should remove automaticaly the lowest level beast in your menagery. But honestly, I don’t realy know and understand how this work. 1. Recipe only use rare and unique beast. Blue or white monster are not used in any way, but they still count as 1 beast slot in your menagery. And you have absolutly no possibility to remove this kind of beast from your menagery except transforming them in currency (which cost 1 chaos per orb). They can probably be removed from your menagery by higher level beast. 2. The menagery is an area where fight take place. So you don’t have your stash in it. This force you to take currency in your inventory in order to buy some specific net, like the one used for trade beast. And while it’s an area where you fight monster, even if you are not in the arena, you can be killed. Some HC player had this cool surprise while requesting a beast crafting from other player and waited them in the menagery instead of their HO. 3. Except all of this, recipe from bestiary league introduced many cool things. The menagery looks realy cool. It’s a realy interesting crafting system and unlock many cool possibility. Beast in map can be realy challenging, and sometime realy powerfull. It’s a realy interesting challenge from this point of view. 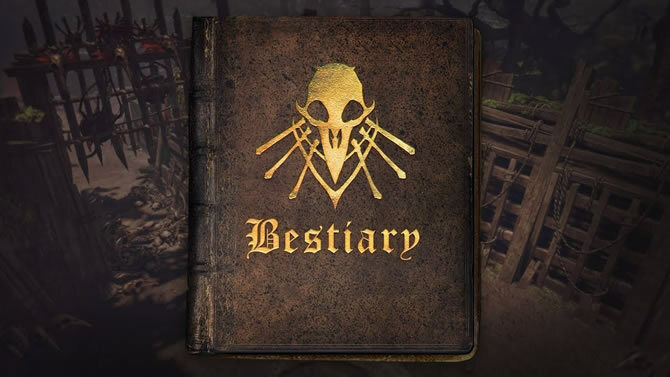 In conclusion, the beasts and recipe introduced add some realy interesting points. But at the same time, in terme of realisation and gameplay, I honestly, I didn’t played a less intuitive system in a game for a long time. I sincerly tried to do an objective review and tried to not sounds like a professionnal whiner. Next Why Do You Play Path of Exile?